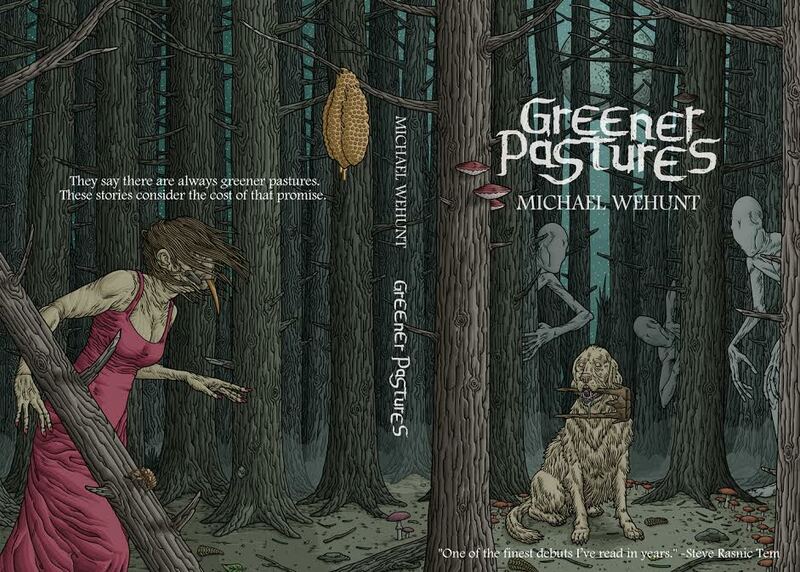 In Michael Wehunt’s debut short story collection, Greener Pastures, readers will enjoy a variety of his favorite short stories – everything from unsettling horror, to spooky fun, to Southern gothic, to unnerving dogs and haunted woods. If you’re looking for unsettling stories that touch on a variety of themes, this is a collection you should look. Greener Pastures was nominated for the Crawford Award, which is presented annually by the International Association for the Fantastic in the Arts for a first book of fantasy. 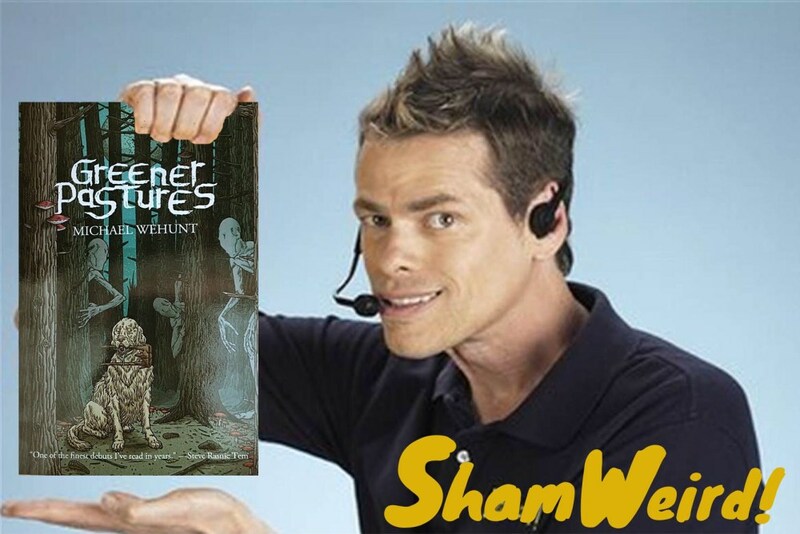 Michael had some fun when Greener Pastures came out from Apex Publications, he made a bunch of meme-ish images, and they are hilarious! I’ll be posting a few of them throughout the interview, here’s a link to the whole collection. 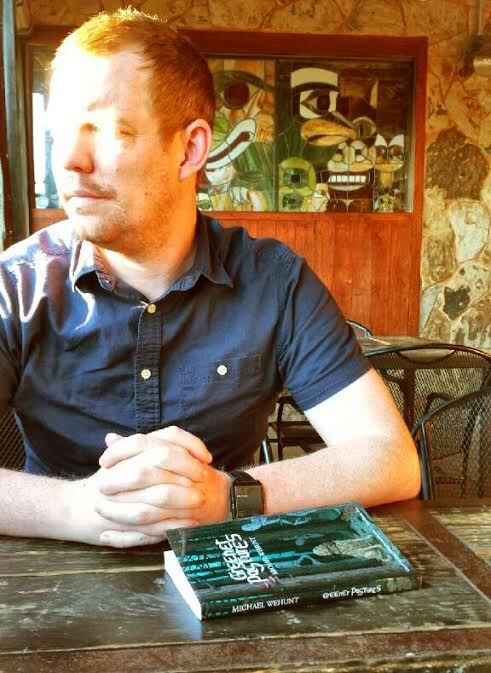 Michael’s short fiction has appeared in Innsmouth Magazine, Shock Totem Magazine, Aghast, Unlikely Story, The Dark, Cemetery Dance, Year’s Best Weird Fiction Vol 3, and The Year’s Best Dark Fantasy and Horror 2016 among many others. Michael was kind enough to answer my questions about the amazing cover art on this collection, how he knew what should go in the collection and what should be left out, why writing horror is so much fun, and more! Let’s get to the interview! 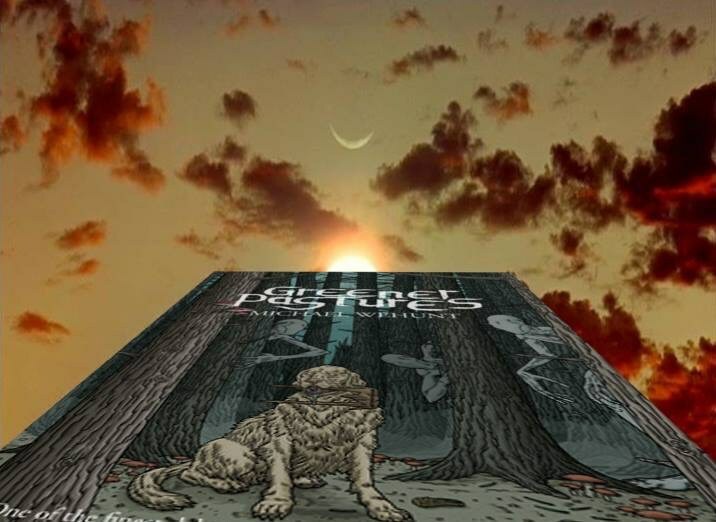 Andrea Johnson: The cover art for Greener Pastures features some easter eggs that connect with stories in the collection. Most authors don’t have any control over the cover art of their books, but you had a number of conversations with cover artist Michael Bukowksi about what you wanted in the artwork. What can you tell us about your brainstorming sessions with the artist and how the two of you decided what the cover art should include? Michael Wehunt: I was lucky to be able to commission an artist for a new piece, and I was doubly lucky to choose someone as talented and collaborative as Michael. He was enthusiastic and communicative from the beginning. The first thing I told him was that I was open to anything. The second thing was an asterisk regarding the first thing—that I had my heart set on trees. Not every story in Greener Pastures features trees, but the book as a whole felt very woodsy and earthy to me. And I knew from Michael’s style that the trees would look amazing and draw the viewer in. We started brainstorming with the diner from the title story, crowded on one side by the woods, but as soon as Michael read the story “October Film Haunt: Under the House,” he really wanted to use the dog with the wooden crown in its mouth as the focal point (the dog unnerved him deeply), and that was instantly a yes for both of us. So the woods became the entire backdrop, which was the right choice. From there we decided to do a full wraparound cover, which was exciting, and with the extra space we chose elements from three other stories to include in the art, and a year later I’m still in love with the entire piece. AJ: You mentioned in another interview that a recurring theme in the short stories in this collection is that of loss. I recently had a conversation with a poet who wrote about his frustration and rage, as a therapeutic way of getting it out of his system. Is writing about loss therapeutic for you? Or is there some other reason you find yourself returning to that theme? MW: Writing about loss and grief is therapeutic for me in a preparatory way, I think. Both of my grandmothers passed away when I was relatively young (while both my grandfathers died before I was born), and since their deaths, I haven’t lost anyone extremely close to me. They say to write what you fear. I fear losing my loved ones very much, and I also fear the fact that I fear it. And from a more detached, creative standpoint, I find grief to be a driving force in horror fiction. It’s universal. It strips a person bare. And that emotional nakedness presents a wealth of situations from which intense horror and intense beauty can emerge. We’re at our most vulnerable in these moments, and that’s when it’s hardest and perhaps most instructive to look in the mirror. AJ: When you do readings at bookstores, conventions, or other events, which is your favorite story in this collection to read aloud? MW: I haven’t come close to reading them all in public yet. Since it’s preferable to fit an entire story into a reading to get the pleasure of a beginning and an end, I choose between the three that can fit into the typical fifteen-minute slot. I think the title story is the easy choice, the crowd pleaser, in that it’s a one-scene Twilight Zone sort of story. But I’ve come to choose “The Inconsolable” because it’s written in a hypnotic sort of first-person voice, and the richer religious imagery tends to be appreciated. AJ: What was the process like for putting this collection together? Did you have stories you wanted to include but in the end were set aside? How did you know when the table of contents for the collection was as perfect as it could be? MW: I started simply by listing my favorite stories, then trimming down based on how they spoke together. You mentioned the theme of grief—I definitely wanted that theme, but I didn’t want it to be too prevalent. I wanted raw emotion and literary depth, but I also wanted a few more straightforward spooky stories to balance the ebb and flow. I wanted my affinity for Southern Gothic to show, but I wanted stories set elsewhere, too. In other words, unity with variety. I don’t have a very large body of work, so this process could have been much more painstaking. There were only two stories that hurt to remove from the collection. “The Death of Socrates” (from Nightscript Volume I) revolves around an element that was touched upon in another story in Greener Pastures—in a very different way, but still I wanted to avoid such a distinct echo. It will almost certainly be in my second collection. “A Coat That Fell” is a flash story that simply wasn’t quite strong enough to stand with the rest. It’s a nasty little story that part of me appreciated for the shock it would have provided in the middle of the book, but with only a few weeks to go before release, I decided to pull it. When it was gone and I tweaked the story order, the table of contents suddenly seemed to click, and I knew that was it. AJ: Why is horror and weird fiction so much fun to write? MW: Nothing makes me happier than creepiness and dread. Experiencing that visceral chill is great fun as a reader and as a writer. Scaring people—unsettling them, building dread—is one of the most challenging kinds of word-crafting. At its purest, it can even be like writing poetry, where rhythm, diction, and juxtaposition carry more weight. When a string of words can in and of themselves create dread, that’s powerful. I find little in writing to be more fun than that, and when combined with an engaging plot, it’s simply the very reason I do this. There’s also another element of fun that’s harder to articulate here—in that weird fiction and horror typically comment on the world we know, the way we think about humanity. The intrusion into the known world by the unknown, by things we fear. The ways scary stuff can comment on what it means to be human is deeply pleasing to explore. AJ: You’ve got a blog post from 2016 about “turning five”, that it had been five years since you submitted your first story. What has surprised you the most in the last five years? Anything you wish you’d done differently? 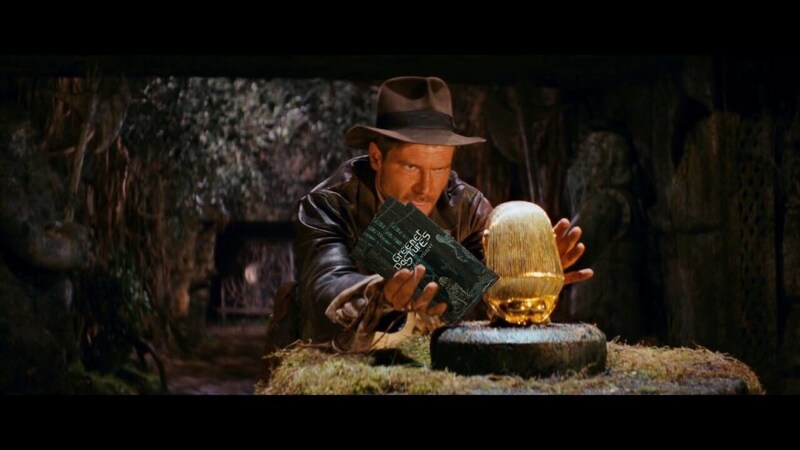 MW: I think the most surprising thing was the realization that there’s an entire world of horror/weird/dark/speculative fiction out there, both in the body of literature itself as well as the numbers of enthusiastic readers and authors. For a very long time, I failed to explore genre fiction, to my own detriment, so what shouldn’t have been a surprise initially felt like one. 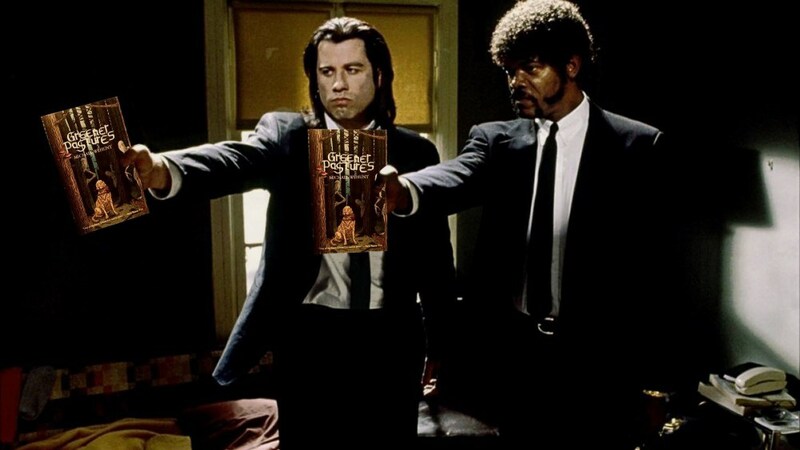 The horror/weird scene (and I use that term broadly) has been open to all sorts of permutations and styles of dark fiction, from pulp to literary. Readers want great stuff to read, and so do writers, who are, after all, readers before anything else. There’s a lot of intelligence in this field, and I continue to see readers ignore that silly barrier over which literary snobs and genre snobs throw insults at each other. It’s been so refreshing to see more and more fiction break through the wall. Soon it will be broken apart entirely. I’m tempted to say I wish I’d had more knowledge of the publishing industry when I was starting off, particularly regarding how to approach the overall arc of a writing career, but I always come back to a gladness that I was wide-eyed and naïve about it all. It enabled me to just walk through the woods, lost, and learn my way naturally, mistakes and all. I would never argue against having fully formed goals and the industry smarts to solidify them, but if I’d known more (whether through extensive research, internships, or writing workshops such as Iowa or Clarion West), I think I would have been too scared to agree to publish my first collection as early in my career as I did. I would’ve convinced myself I was doing everything the wrong way. I’ve been very fortunate to get away with that, so to speak, so I can’t wish I’d gone about it differently. It’s been a wonderful experience. Also, have you see the Apex Mag Revive The Drive store of awesome stuff? 2 Responses to "An Interview with Michael Wehunt, author of GREENER PASTURES"
I wish I could buy the paperback from the Apex store. I didn’t see it, or am I missing something? It might not be in the Revive The Drive store, but the paperback is in the regular Apex Books store.